Fill these forms out to begin! If you hope to learn more about your ancestors, then you've come to the right place! We want to help, as much as possible! Our primary area of expertise is Southeast Michigan and Northwest Ohio, but we are more than ready and willing to take on research requests from people in other areas as well, with the understanding that it may not be quite as fruitful, since hands-on research is not possible, and we must rely on remote searches. However, we have had great success with remote searches in Florida, Tennessee, Kentucky, Minnesota, Illinois and many other areas of the US, so please contact us! Want to begin researching your own genealogy? You don't need to do it completely alone! Why not benefit from our years of experience? 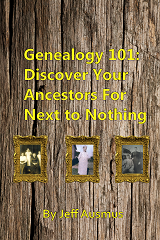 Our new e-book details all the tips and tricks we have learned over the last 10 years, so that you can begin your own genealogy journey yourself today! Get your copy now on Amazon! We intend to do our best to help you break through your genealogy "brick walls" and help you determine more of your ancestors, and family history. We will research the family information you provide us with, and hopefully, will be able to give you plenty of information regarding your ancestors. Begin now, by filling out our genealogy packet below! 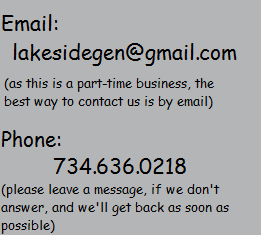 Please fill these three forms of our Geneaogy Packet out to begin: Contract, Tree Info, and Goal Sheet. For the tree, please fill out what you know - your info, your parents, grandparents, etc - anything you know, so that research can begin! For the Goal Sheet, please fill out what your hopes for this research are; and finally, sign the contract, and choose the options there. © 2014 - , Lakeside Genealogy.